NEW DESIGN - 2018 Model! Wolfe XL paddles are WideBody Graphite paddles over an Aluminum honeycomb core. High quality with 2 layer Carbon Fiber face last much longer than competitors paddles. Wolfe Sports is "Professional Pickleball". 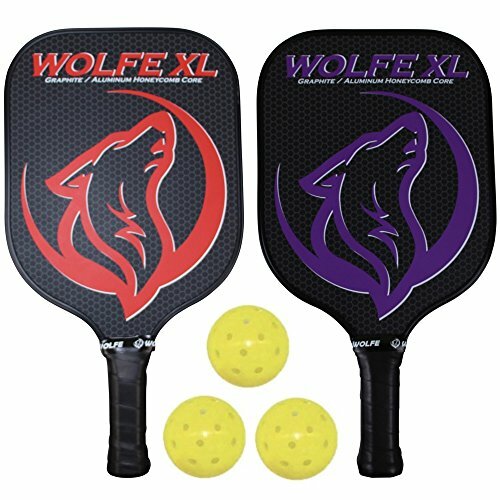 Wolfe Sports is "Professional Pickleball"
If you have any questions about this product by Wolfe, contact us by completing and submitting the form below. If you are looking for a specif part number, please include it with your message.